I haven’t blogged here in a while! I need to start political blogging again, as there have been a lot to write about. In the meantime, check this out. I just found some Charlie Sheen Quote t-shirts! I think I am going to get the #winning one. 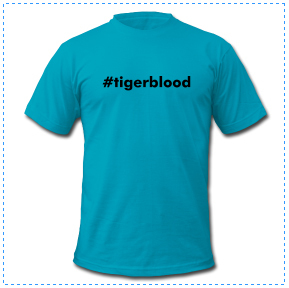 Or the #tigerblood. I’m not sure. I’m winning here, I’m winning there. This guy has gone crazy. I thought he was on drugs but apparently he passed the drug test. Some of the things he has said have been ridiculous and some way over the line and sick. Other times he’s been hilarious. It’s amazing how the media has paid so much attention to him. Join our mailing list to be updated when we add an exclusive special report. We don't mail it often, as no one likes a clogged inbox. Just every once in a while, so join up! Got a news tip? E-mail us at commonsensejournal (at) gmail.com.